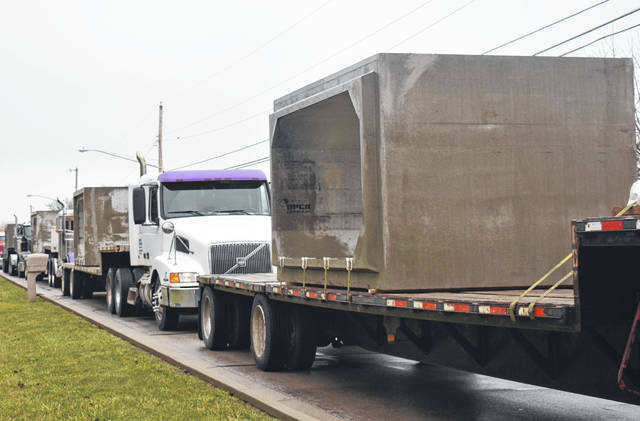 A convoy of culverts lines up ready to be placed on North Nelson Avenue on Thursday. 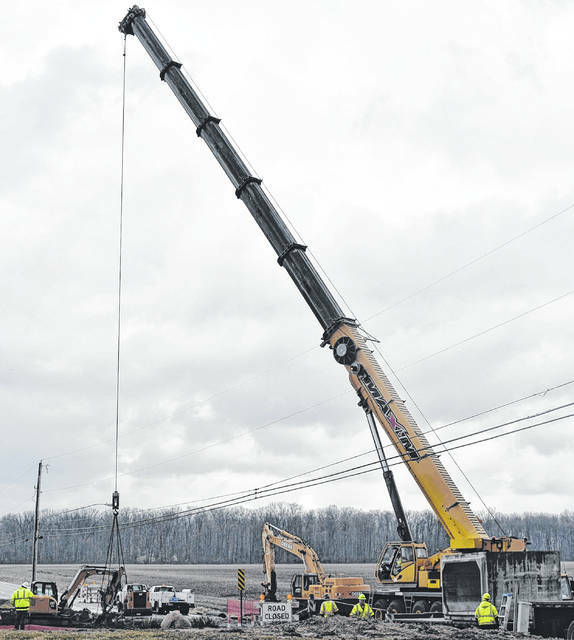 A large crane puts the culverts in place on North Nelson Avenue in Wilmington on Thursday. The road was closed last week between Woodside/Country Oaks and Community Drive for a culvert replacement project 250 feet south of the Senior Services/Community Action Program facilities. The project will also include new sidewalks on the west side of Nelson Avenue in that area. Detours are marked.